On August 8, 2008, Marilyn participated in the Susan G. Komen for the Cure, Greater Kansas City 2008 Race for the Cure® at Union Station. It was the largest race event in Kansas City history, with 25,000 entrants. She finished sixth place over all survivors. 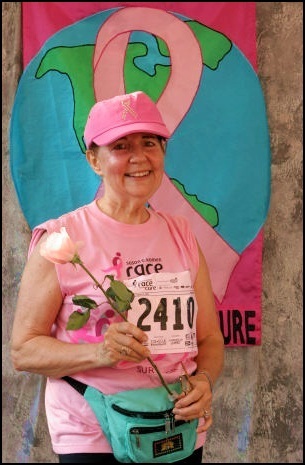 #1 in her category (female survivors over 65)! Way to go Marilyn, we love you! Copyright © 2004-2019 A1 Tiny Tots Nanny & Sitting Services, All Rights Reserved.